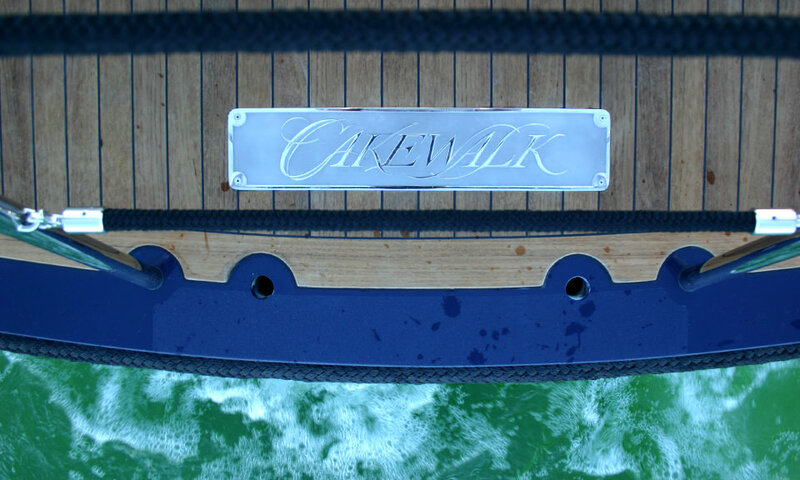 This 11.3m Semi Limousine was built for Cakewalk - the largest Motor Yacht built in America since the 1930s. 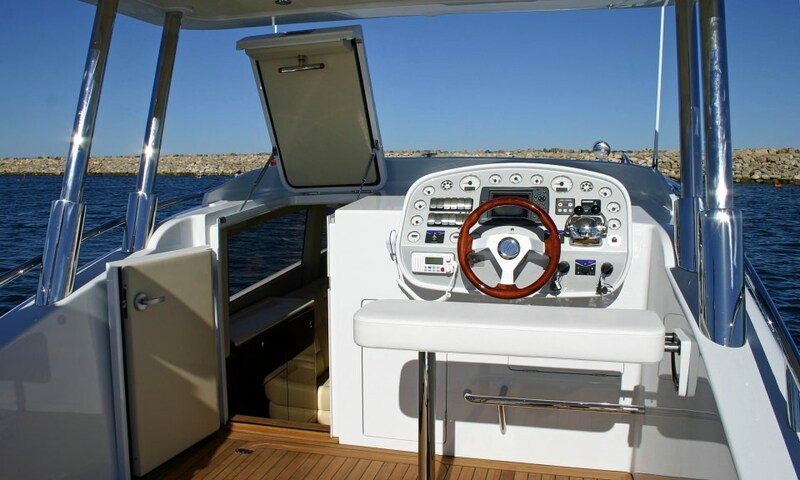 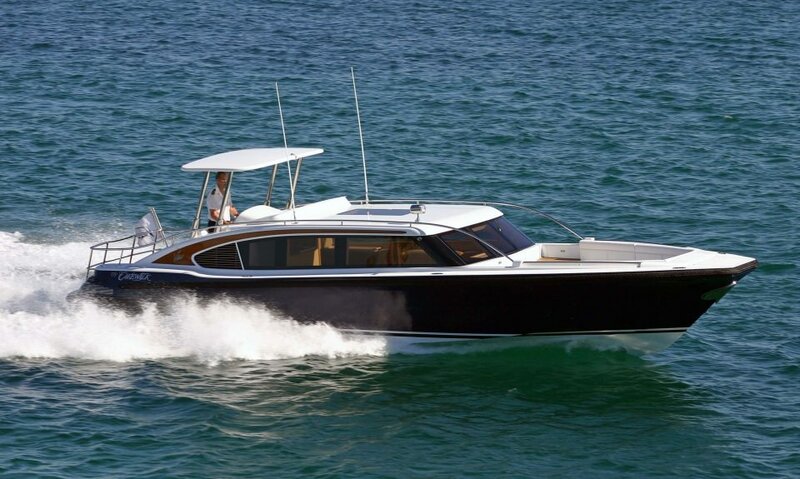 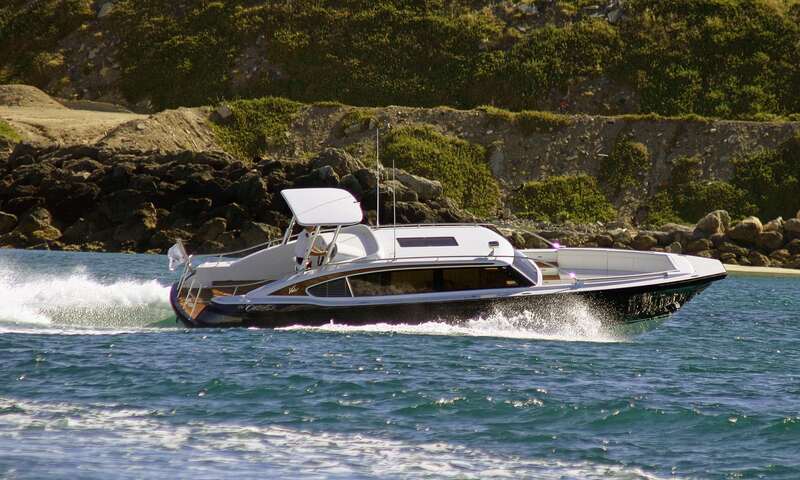 This beautifully appointed 50 knot Limousine is equally at home in the marina at 5 knots or out in the bay at 50 knots. 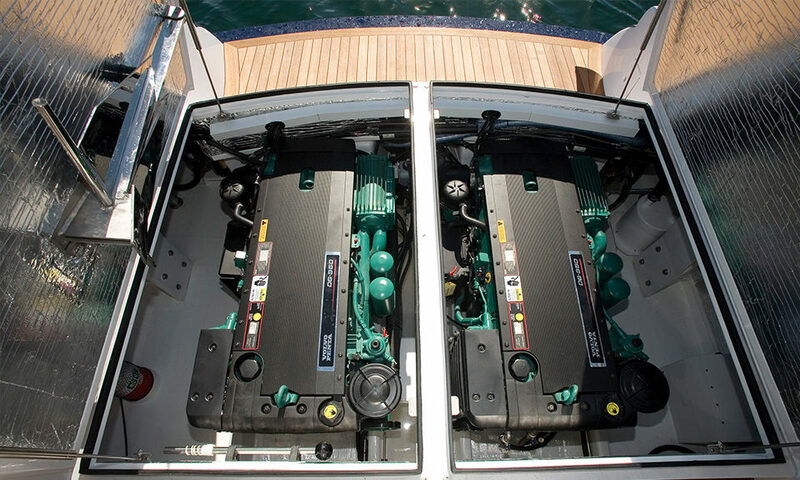 Her 370 hp Diesels with sleek high performance DPR legs propel her onto the plane in 8 or 9 seconds. 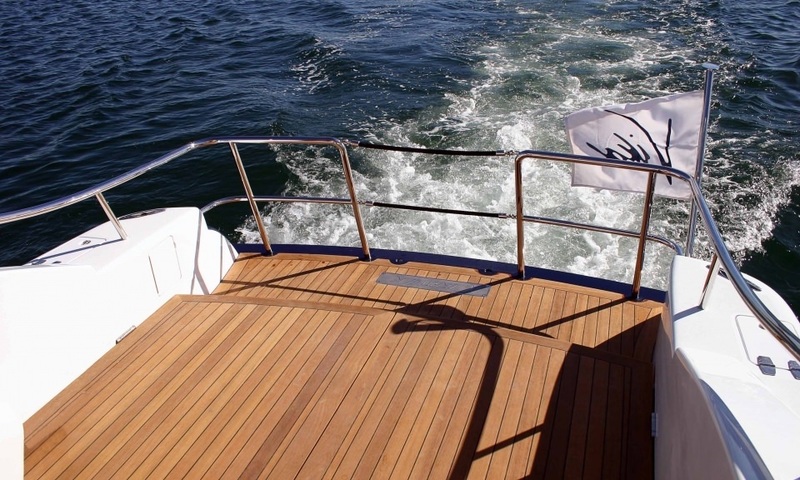 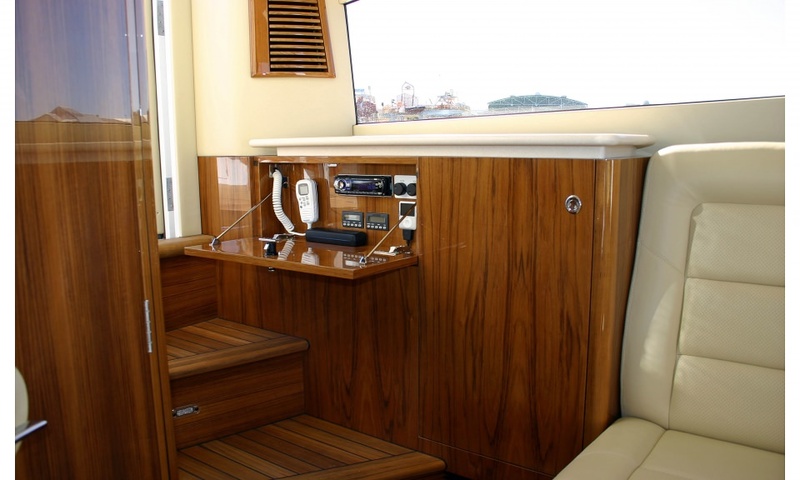 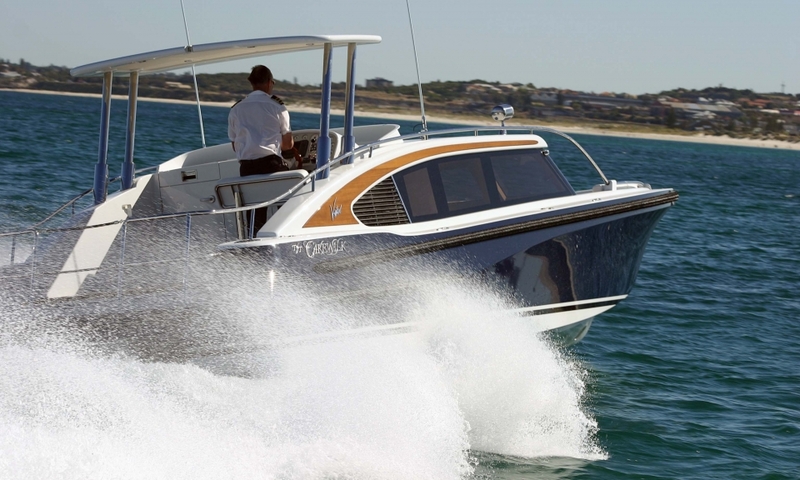 The versatile Tender's guest compartment can be entered from the aft deck as well at the forward seating area. 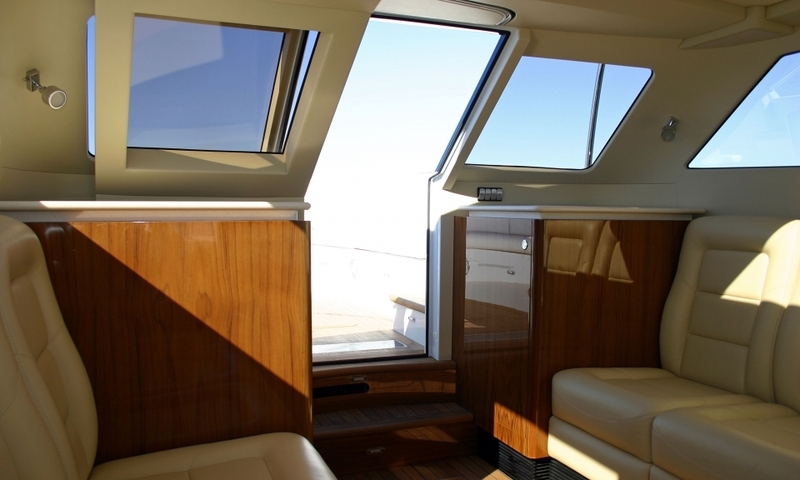 The aft helm allows for complete privacy for guests who can freely move from sumptuous interior of the guest compartment to the open seating area forward.